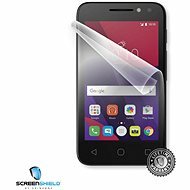 Screen protector - 100% scratch-resistant, lifetime warranty, extreme durability and full transparency, the film does not change the colours of the display, the screen with the applied film will be less greasy, it will cover the already existing small scratches. The high-quality ScreenShield protective film is a great tool for long-term preservation of your Sony Ericsson Active phone in perfect condition. It provides perfect protection against any kind of scratches. 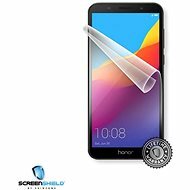 It is transparent and covers already existing small scratches. Due to its extreme durability, the manufacturer also offers lifetime warranty. 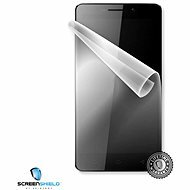 For shipping to other EU countries visit this page ScreenShield for Sony Ericsson Active for display. Für Versand nach Deutschland, besuchen Sie bitte ScreenShield für Sony Ericsson Active für das Telefon-Display. Chcete doručit zboží do Česka? Prohlédněte si ScreenShield pro Sony Ericsson Active na displej telefonu. Chcete doručiť tovar na Slovensko? Prezrite si ScreenShield pre Sony Ericsson Active na displej telefónu. Für Versand nach Österreich, besuchen Sie bitte ScreenShield für Sony Ericsson Active für das Telefon-Display. Magyarországra történő kiszállításért tekintse meg ezt a termékoldalt: ScreenShield Sony Ericsson Active kijelzőre.